In 2014, we pioneered the first integrated stadium technology platform for the San Francisco 49ers at their new Levi's® Stadium. 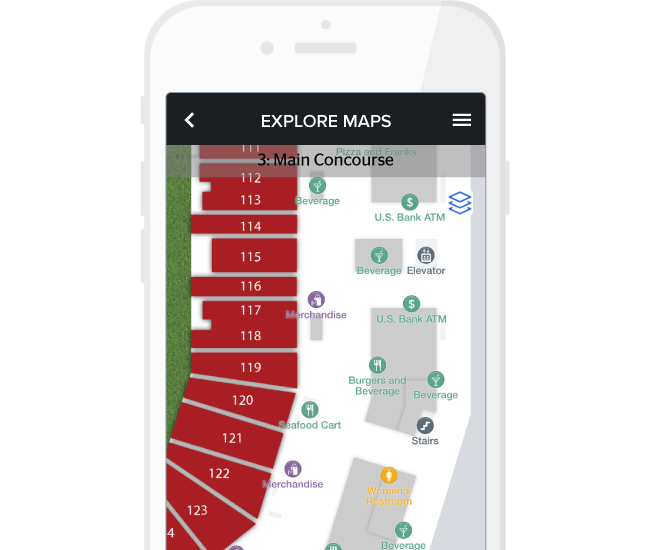 Their venue-hosted Levi’s® Stadium App, together with our control center Canopy and Wisdom data dashboards, have elevated the overall guest experience for 49ers fans and changed the game entirely for the venue operators. With access to insider information that has been previously unknowable, operators are now able to make real-time, data-driven business decisions that maximize profits across the board. Today, we are proud to work with a growing list of customers like the Super Bowl 50, Churchill Downs, Home of the Kentucky Derby, Orlando Magic, Minnesota Vikings, Minnesota Timberwolves, New York Yankees and Dallas Cowboys. With context-aware technology offering guests everything they need, the exact moment they need it, your mobile experience helps make sure your venue’s operational talents will be as impressive as what people are there to experience. Give guests fast access to events, amenities, and parking with mobile ticketing service that works with Kezar, our mobile access kiosk technology. With on-demand video, you can give guests personal access to in-venue mobile video content and provide multi-angle playback 5-7 seconds after the action happens during live sporting events. 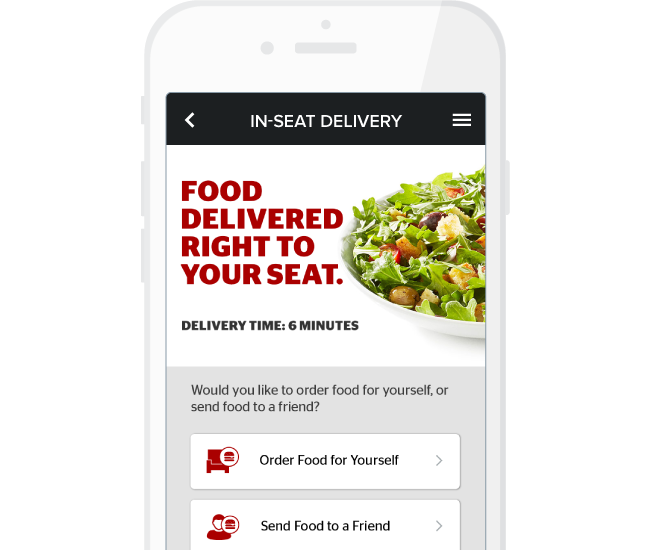 Guests can skip long lines by using the app to pre-order and pick up food and beverages during an event, or place an order and track its delivery right to their seats — with their preferences saved for next time. Give guests the option to upgrade their seats, or purchase better seats or additional experiences once they arrive at a venue, and maximize their experience to the fullest. Let guests easily explore everything going on around them, including the shortest lines for restrooms, food, merchandise, and other amenities. 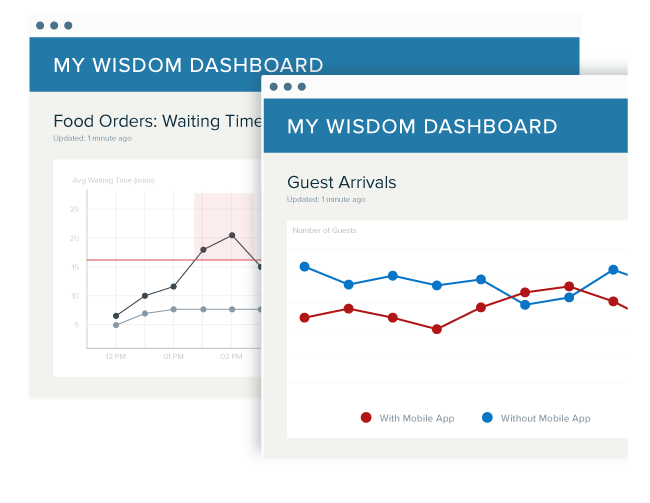 Wisdom and Canopy, our proprietary software tools for operators, work in tandem to help you as a host get a comprehensive view of your venue systems over the course of an event, and insights into guests’ behaviors so you can adapt and make changes across the ecosystem in real time. Message groups of mobile users in real time, based on their location. You can let guests know limited edition merchandise is on sale and there is no wait time at a specific concession stand. 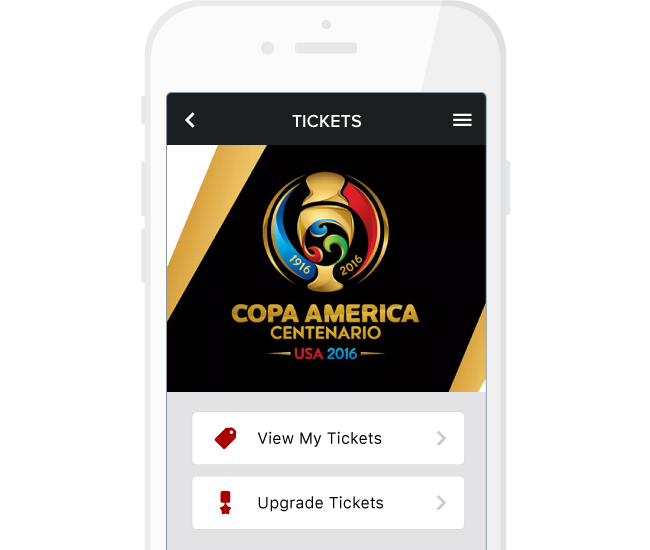 With App Builder, you can easily update your venue's mobile app with new visual assets and information to build anticipation for the next event, whether it’s the latest team game or leg of Beyoncé’s tour. Right up until the beginning of an event, you can use Canopy to turn on additional parking spots within existing lots that are available for sale. You can also notify event attendees that have yet to purchase parking these spots have opened up. 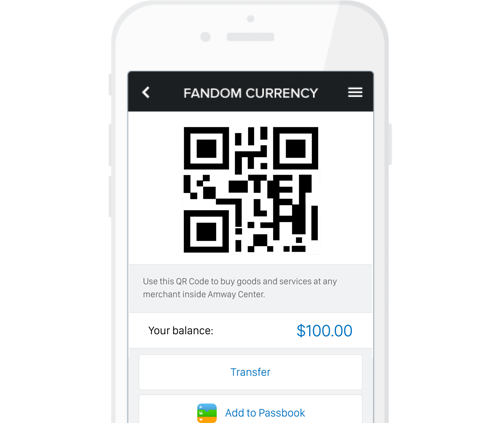 With data from Wisdom, you can know what food, beverage or merchandise items are in high demand. You can then use Canopy to remove items from the menu so you’re live-updating what’s still available for sale, or manage expectations by changing wait times.